1. Can speak fluent English. 2. 9 years experience in China exporting, very professional in the whole trade procedures. 3. Very familiar with China local markets and exhibitions, ever been in various products. 4. Ability of good communication, quick understanding and learning. Dear Friends, I am Ivy living in Shenzhen, China. I am an honest, reliable and hard working girl who would like to help make your China trip much easier and more effecient. I ever worked in China trading company and factory for nearly 6 years, and become to be a professional translator and interpreter since year 2013. I have strong organising, communicating and harmonizing capacity, and I am in quick understanding and learning. Most of my recent customers are from The USA, UK, Canada, Australia, South Africa. They are in different business fields, like outdoor sports, electronics, brand gifts, building materials, packing, fashion, home wares, chemicals..., I am also in good knowledge of factory and cargo inspection, shipment arrangement(LCL, FCL, air freight to airport or door to door service) and after-sale service following up if happens. If you are going to find a skillful, responsible and thoughtful China local interpreter, business agent or assistant, Pls do not hesitate to talk me. I do hope can do the best help for you with my exporting and language advantages. 1. OFC Los Angeles for a Shenzhen company in optical modules. 2. Sourcing agent, travel accompany interpreter and factories inspection behalf for Canadian Welding Technology lasting 6 months. 3. Stealth Carbon racing, as an interpreter twice for the owner Shenzhen business trip in carbon bicycles. 4. Dynamic UK, travel accompany and interpreter in kitchen tools, I am still working with the company as sourcing agent, cargo quality inspection and shipment organising. 5. Ventum LLC, interpreter of their each China trip, and long-term working with them in quality inspection, shipment organising. 6. Fort Boards the USA, interpreter for the owner visiting Shenzhen factory. 7. Shoepassion Germany, interpreter for the 2 directors visiting Guangzhou, Dongguan factories in men leather shoes. 8. HisonGayle the USA, interpreter for the boss have a formal dinner with her supplier, and visiting the supplier in jewelry packing. 9. Work for a Spain mobile store owner one week in Shenzhen and Guangzhou electronic markets and factories. 10. Work for an American customer 2 days in Shenzhen of alloy jewelry and chalkboard. 11. Work for an Australian customer 1 day in Shenzhen visiting his watch supplier. 12. 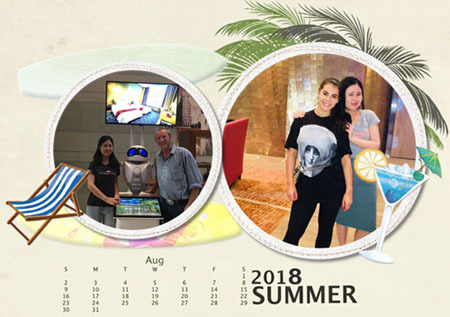 Work for an Australian model designer one week in Guangzhou and Dongguan visiting her suppliers of swimwear. 13. Work for an Australian beach products company 2 days in Shenzhen of meeting translating. 14. Work for an USA customer one week in Guangzhou meeting with his jeans factory. 15. Work for a famous Spain Audio company 2 days in Guangzhou as their meeting translator. 16. Work for an USA bike company 6 days in Huizhou of assisting factory and cargo quality inspection. Besides OFC Los Angeles, I ever attended Beijing ILOPE(China International Lasers, Optoelectronics and photonics Exhibition), Guangzhou WEE(World Elevator&Escalator Expo), Shenzhen CIOE（Opticals Communications Expo)..., And I go to Canton Fair almost every year accompanied with buyers from the USA, South Africa, UK and Australia. How to find and verify Chinese suppliers you can trust? Ivy was very helpful during my trip to Guangzhou. she helped me to negotiate with suppliers and accompanied me to the factories and took me to visit the markets + canton tower. I would highly recommend Ivy and will be sure to use her services in the future ???? Ivy was an excellent interpreter, she was always willing to help wherever she could. I will definitely use her service again. Thank you Ivy for all your help. Ivy was a great assist to my trip! she was always very professional and prompt to help me in any needs that arised during my business. 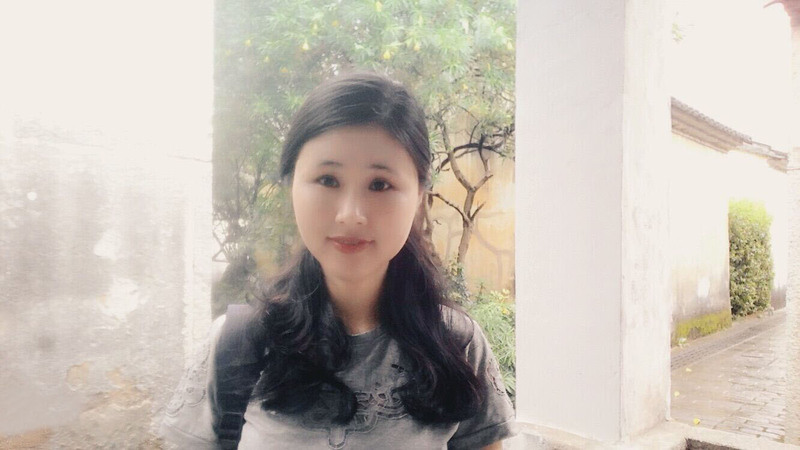 I would highly recommend her to any foreigner looking for a skilled interpreter or guide in shenzhen or guangzhou. Ivy is a very good interpreter, at all times been concerned with understanding me (I am Spanish, and I do not speak perfect English ) . She speaks perfect English if and always tries to find synonyms or find a way to understand us . On the other hand he has always been concerned to negotiate the best price for us, both in transport and distributors, and always has been concerned that the products were of the highest quality. On the other hand, it is very concerned Ivy all, she will fetch the items that your company want to buy Chinese websites and compares for you all price ranges . If at some point she does not know something, and you tell her the night (when just the day) looking for you all the necessary information and prepares you for the next day. 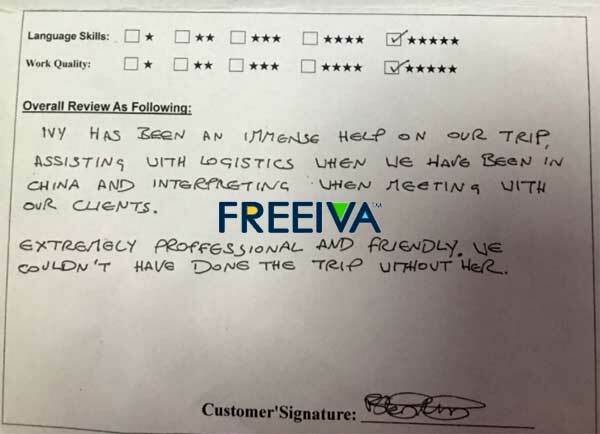 Certainly on our next trip to China will have the help of Ivy, we have been delighted with it ( is really nice ) and her work (very professional ). 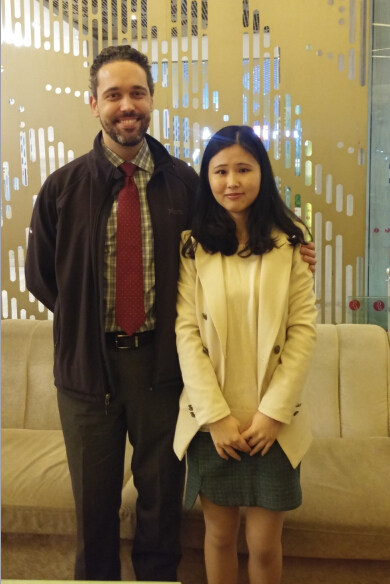 Ivy has been an immense help on our trip, assisting with logistics when we have been in China and interpreting when meeting with our clients. Extremely professional and friendly. We couldn’t have done the trip without her. Extremely pleased with Ivy's translation and guide services. 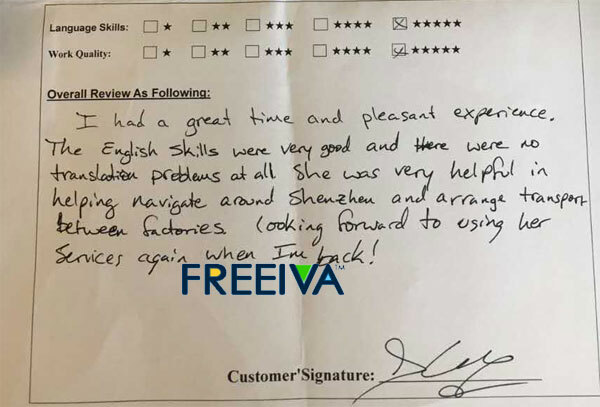 I had a long list of components I needed to source from the Huaqiangbei markets and Ivy made locating them and negotiating prices with vendors a very smooth and easy process. I look forward to hiring Ivy again the next time I return to Shenzhen. I had a great time and pleasant experience. The English skills were very good and here are no translation problems at all. she was very helpful in helping navigate around Shenzhen and arrange transport between factories. looking forward to using her service again when I'am back. Ivy was a pleasure to work with. Her professionalism, knowledge of English and pleasant manners are exceptional. 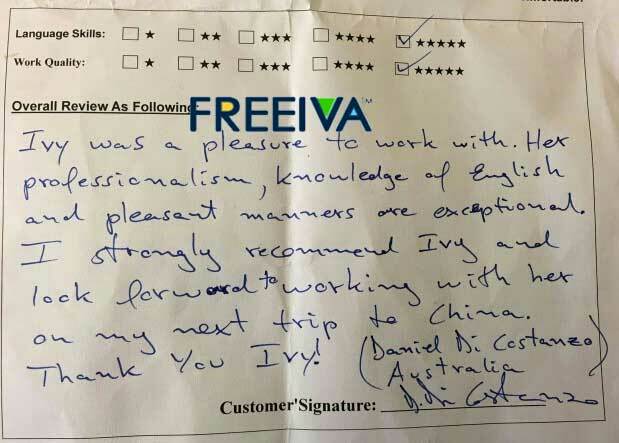 I strongly recommend Ivy and look forward to working with her on my next trip to China. 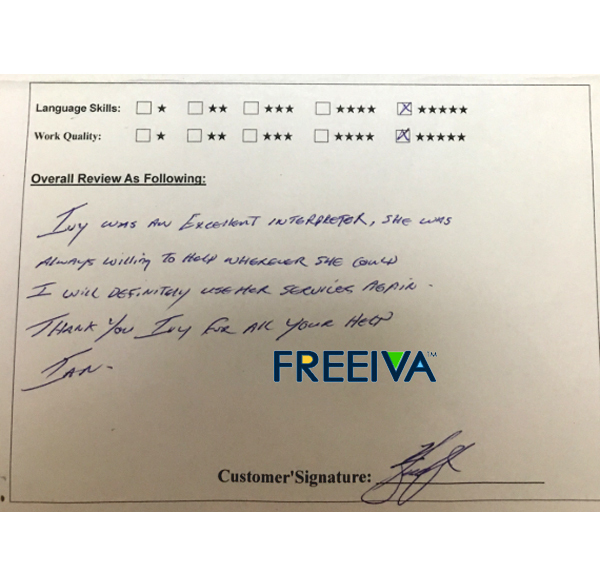 I was very impressed with the responsiveness and easy communication with Ivy before we met in person. Ivy is a very professional and thoughtful translator. She considers all details and insures they are executed. She facilitated our pre meeting arrangements and was the communication bridge between me and my supplier. She also assisted me with my hotel when we were having trouble with our WIFI connection. I likely will utilize her services as an email translator and eyes on the ground for my company. Her background in import/export and shipping will come in handy as well. Ivy was very professional. She did a good job of translating during the meeting and understood the business well. It helps that she knows the exporting business very well and she gives good advise. I will work with her again when doing business in Shenzhen.